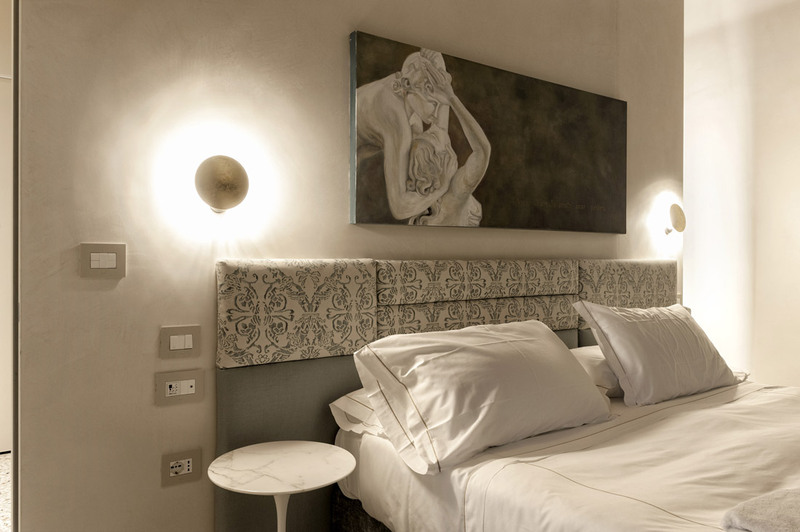 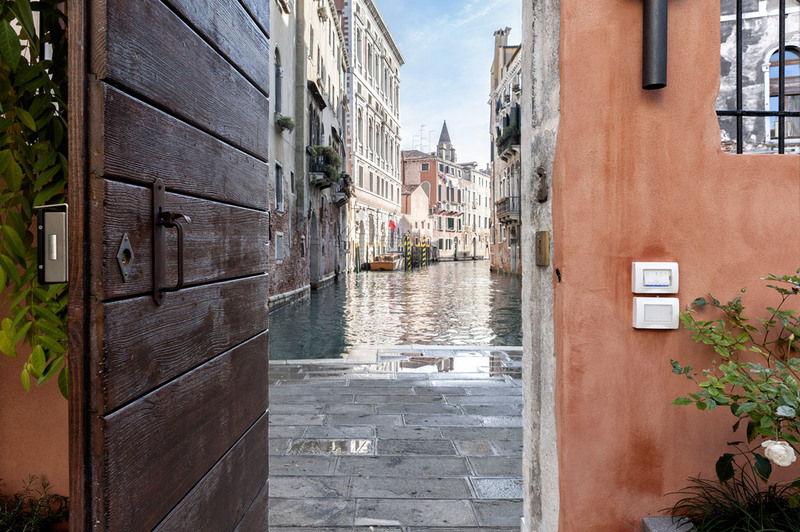 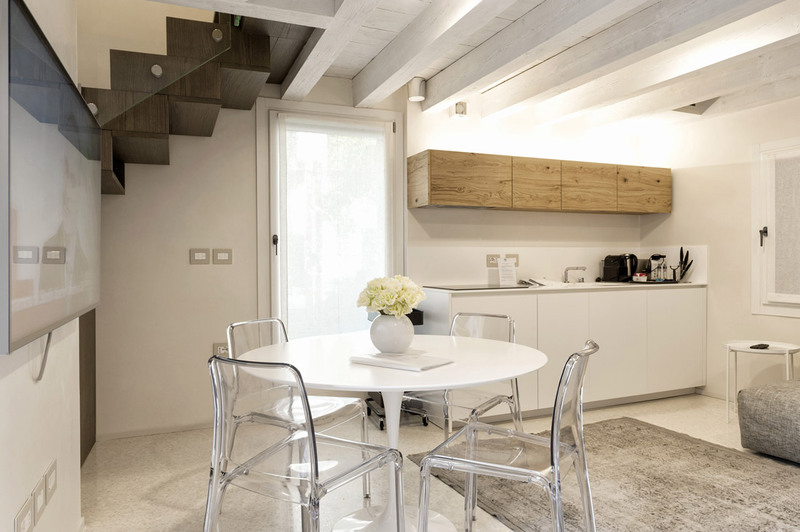 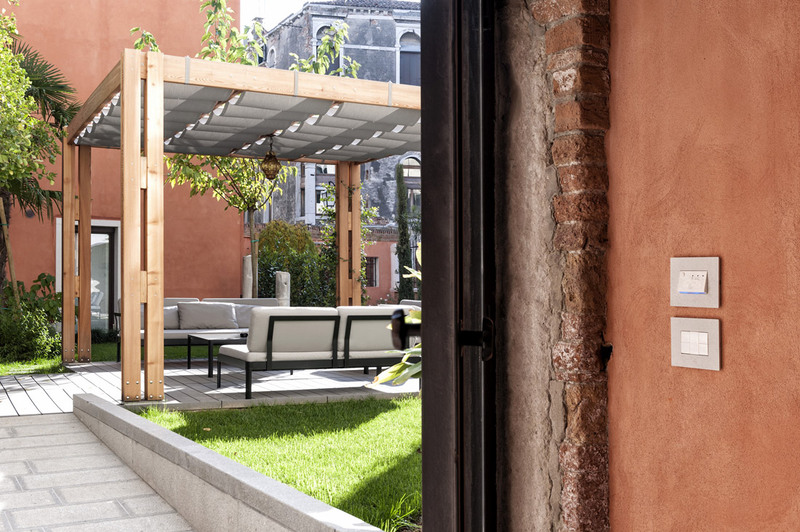 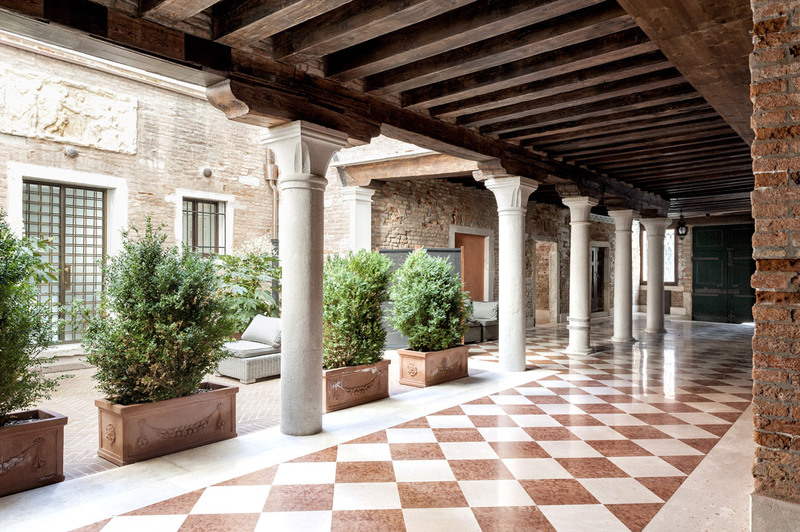 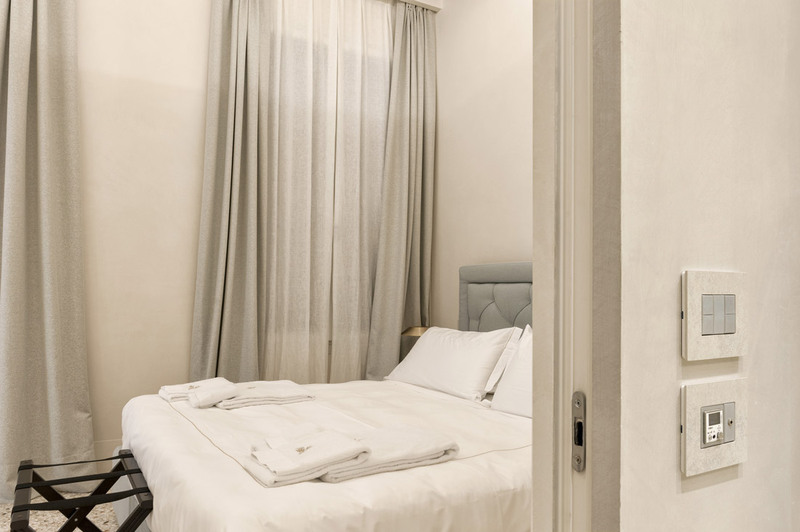 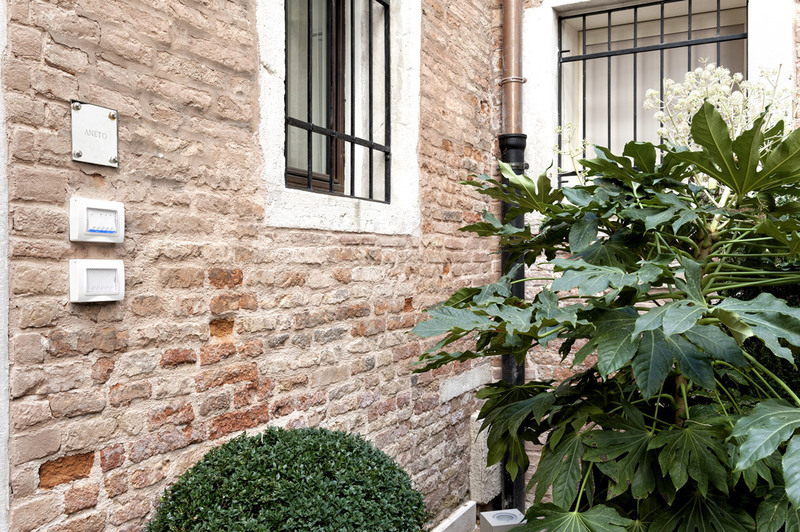 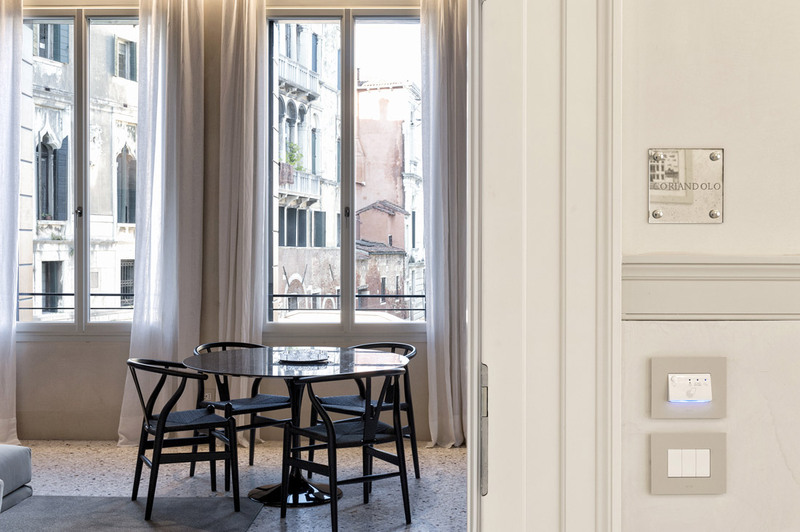 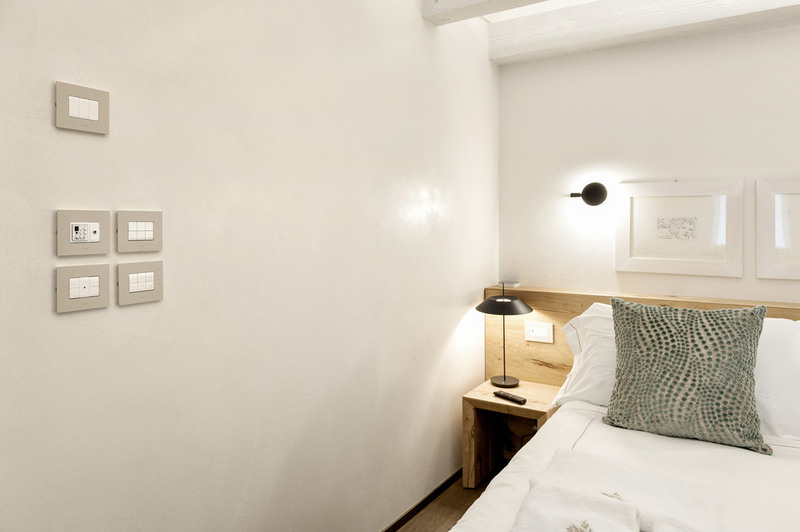 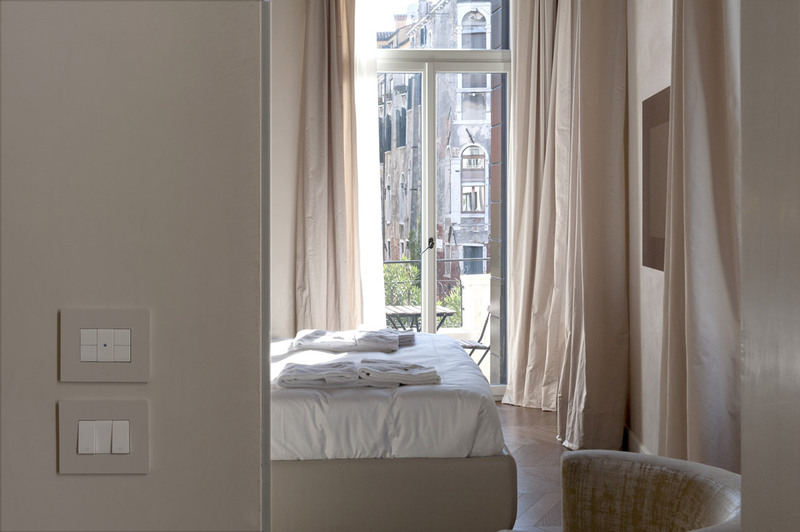 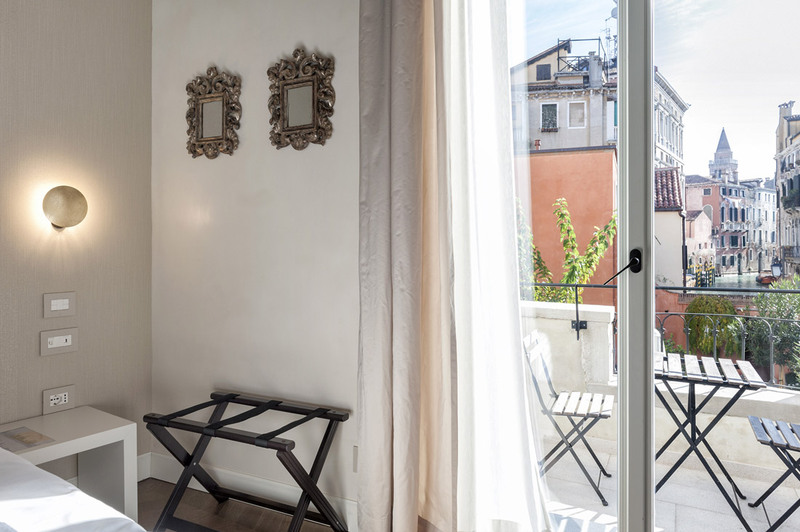 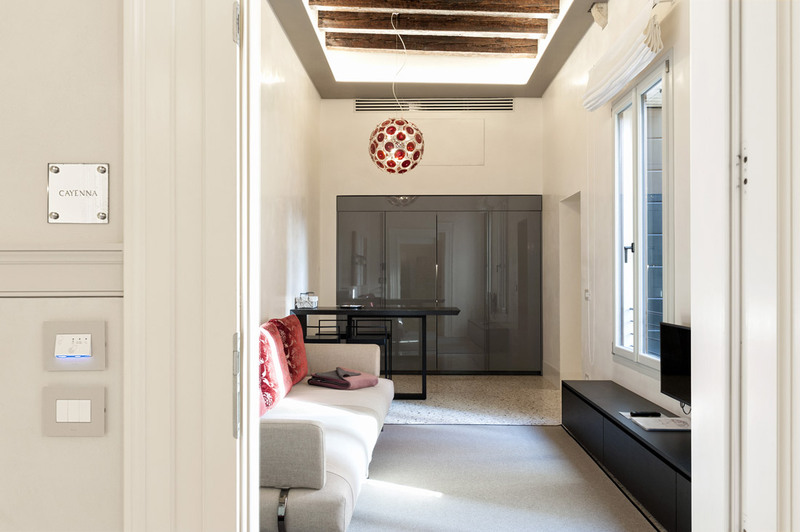 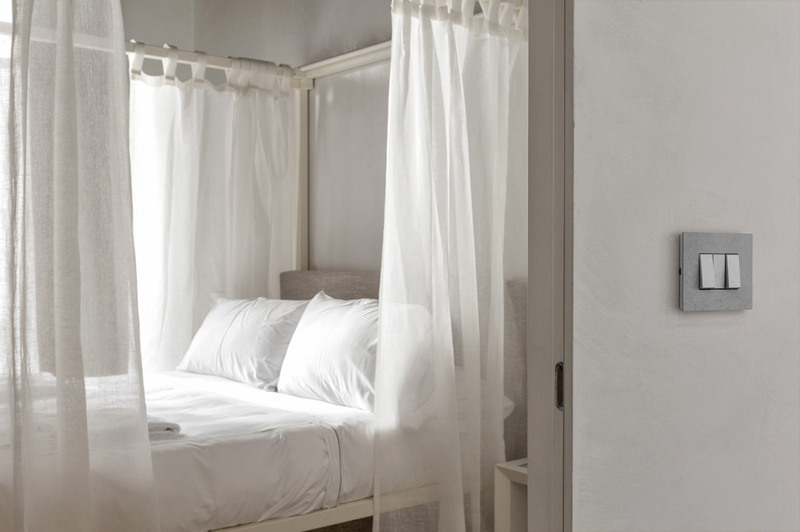 AVE conquers the prestigious Palazzo Morosini degli Spezieri of Venice, an elegant 15th century building, that today offers a collection of 9 apartments where you can stay with all comforts. 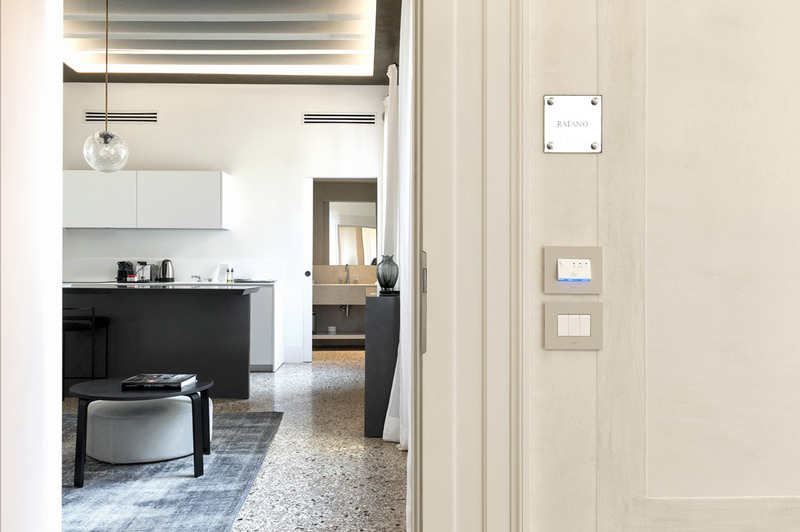 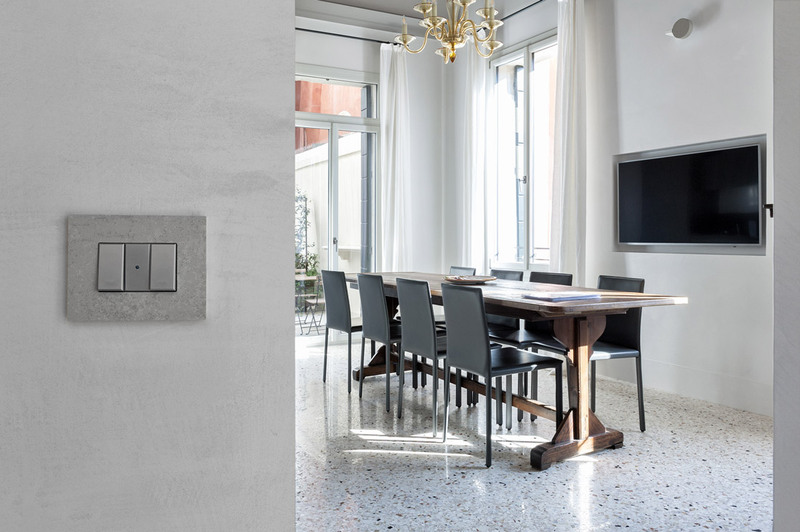 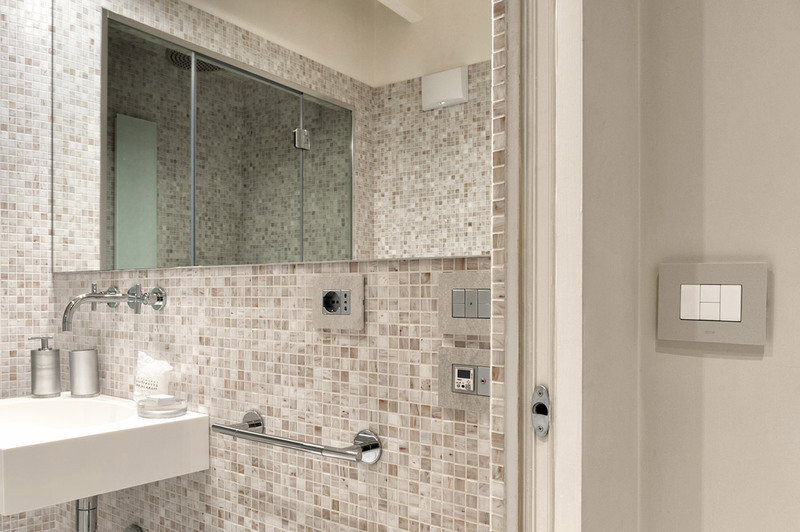 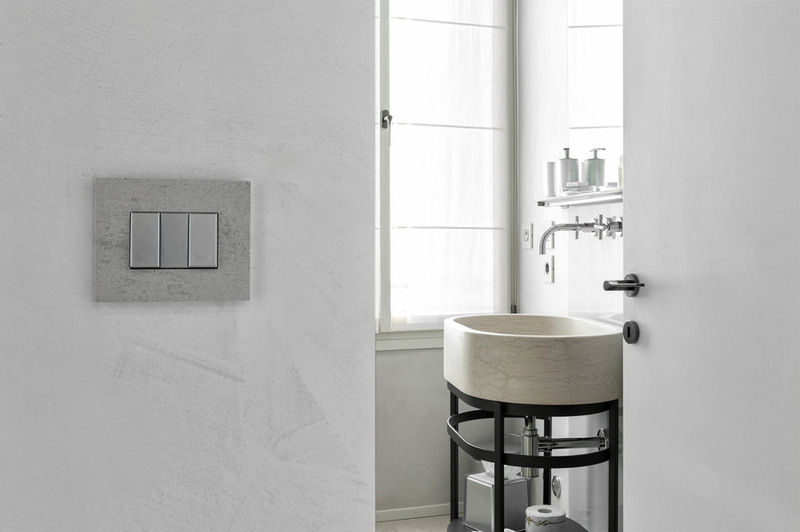 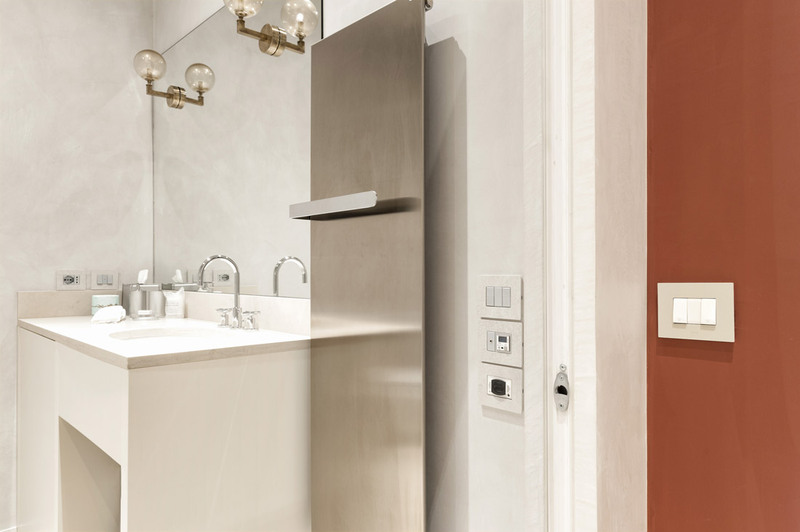 Upon a specific request of the client, AVE has made stoneware front plates (Vera44) with an innovative design, that ennobles the evolved AVE card readers and the elements that make up the electrical system (Domus and Allumia). 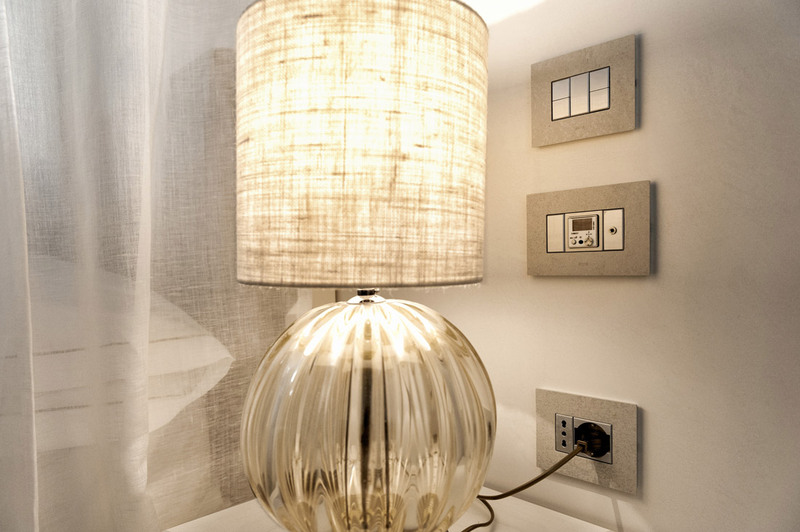 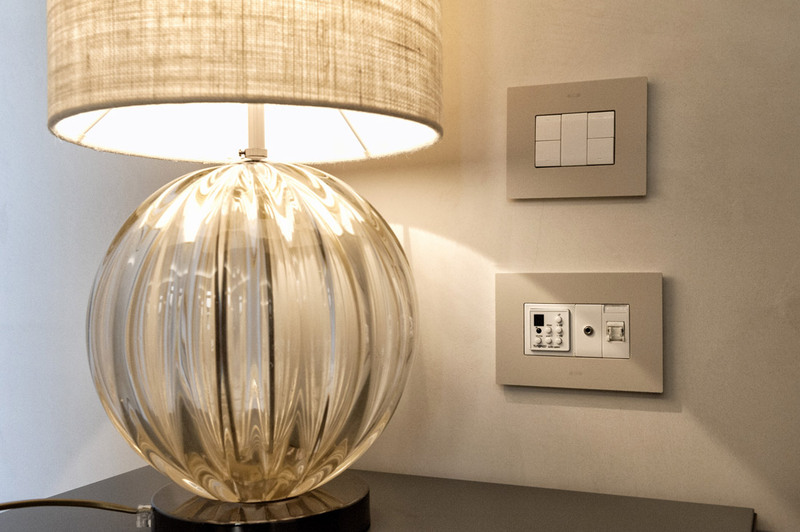 Not just design, but also security, safety and energy saving. 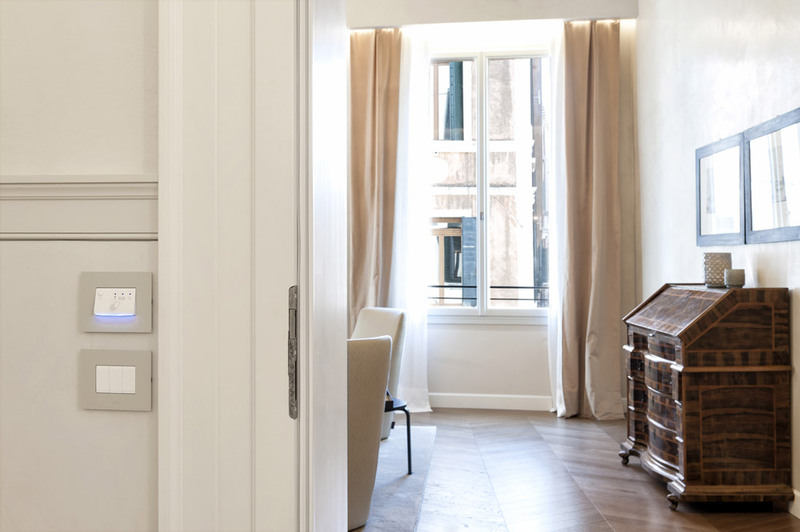 The technology integrated by AVE card readers offers a smart access system to apartments with a higher degree of security. 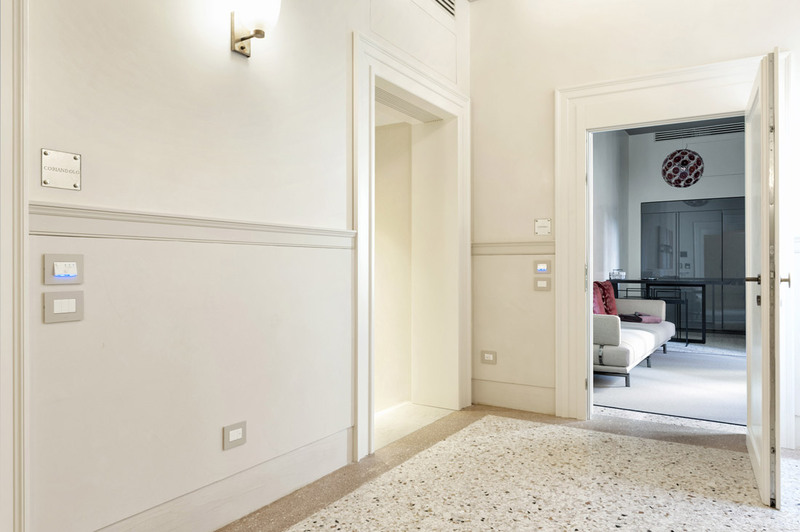 When the apartment is unoccupied, the loads are automatically disconnected to avoid energy waste and short circuits.